A 13 week, (Saturday's only) instructional baseball clinic aimed at improving the basic skills of young baseball players ages 7-15. 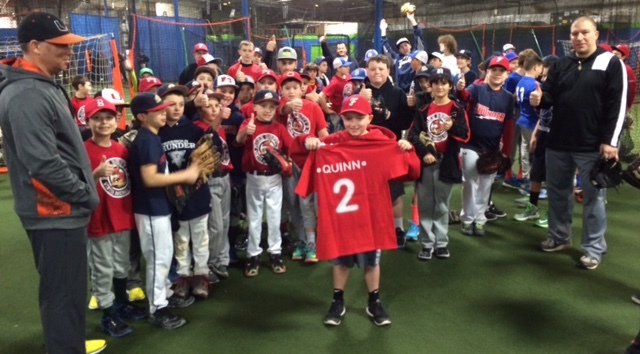 This fast moving clinic will keep your child's attention for a full 2 hours while improving their baseball skills in a professional, motivating, positive and fun atmosphere. The clinic has grown over the last 8 years and we have SOLD OUT every year. I encourage you to sign up as soon as you can so that your child is not left out of this fantastic program. We have increased the number on our cap every year but we HAVE TO CAP IT OFF AT 80 PARTICIPANTS this year. If you have any questions you can call me on my cell phone (732)-740-9418 and I would be more than happy to answer them. We look forward to working with your child over the Winter. Thank you for your interest in this program. While we work the boys hard, we also like to have some fun! 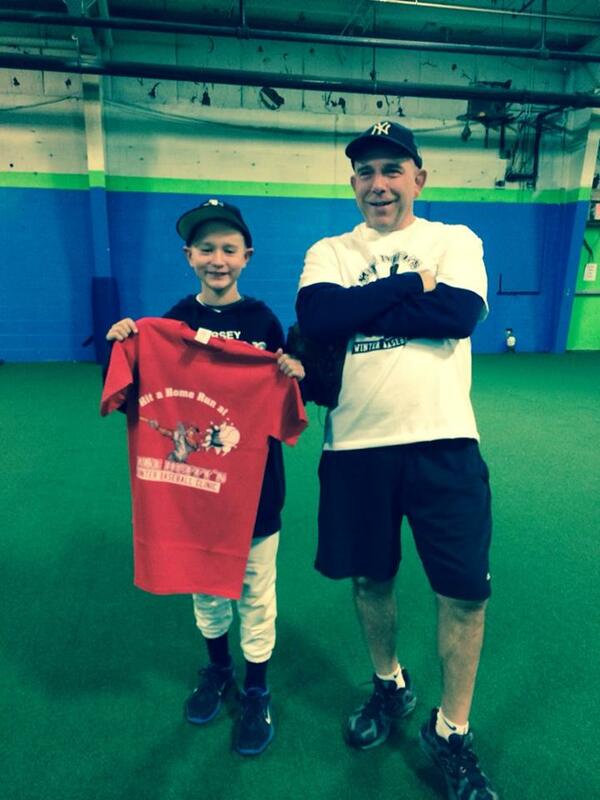 During the 13 week clinic we have "Challenge" or "Testing" Days where we reward individuals in 5 different categories. 1) Flamethrower-we test and re-test the players throwing velocity during the 13 week clinic and towards the end we reward the players with the fastest velocity in each of 7 age groups. The pitching and throwing drills we do each week are geared towards improving arm strength, velocity and preventing injuries. 2) Speed Demon- each week we work on speed and quickness drills and towards the end of the clinic we have a timed base running contest where the fastest in each of 7 age groups are rewarded. 3) King of the Cage- we work on a massive amount of hitting drills over the Winter and have developed a tournament to see how well the players have learned what we have taught them and again reward the best in each age group. 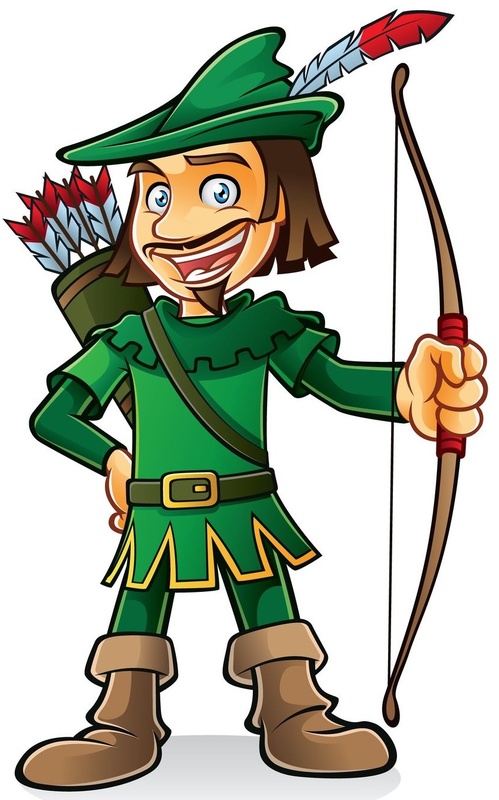 4) Archer- this is a new program where we reward players on distance throwing accuracy. 5) Human Vaccum-this is also a new program where we reward players on a reactive ground ball drill. Finally, each week we have a simulated one pitch game for the younger players where they have a chance to win a "Home Run" shirt. For most of the young players, this is the highlight of their day! Hi! 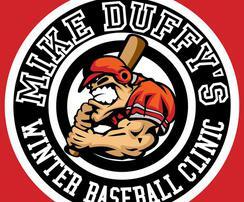 Welcome to the Winter Baseball Clinic Registration page. 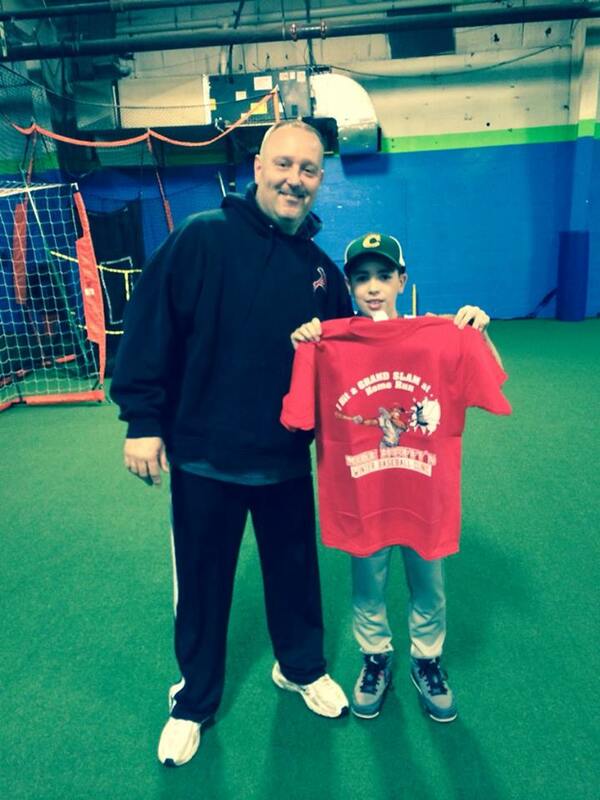 This is our 10th year of putting our Winter Baseball Clinic on. 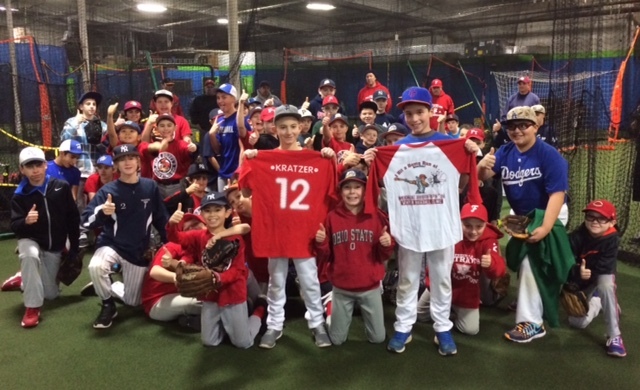 We will be running our program at The Ball Park in Farmingdale, NJ every Saturday morning from 8am - 10am beginning Saturday November 17th through and including Saturday February 23rd. We will be taking a break on Saturday November 24th for Thanksgiving weekend and Saturday December 29th for the Christmas & New Year holidays. That will be a full 13 Saturday clinics. Each 2 hour clinic will be run by 12-15 coaches and a maximum of 80 players. 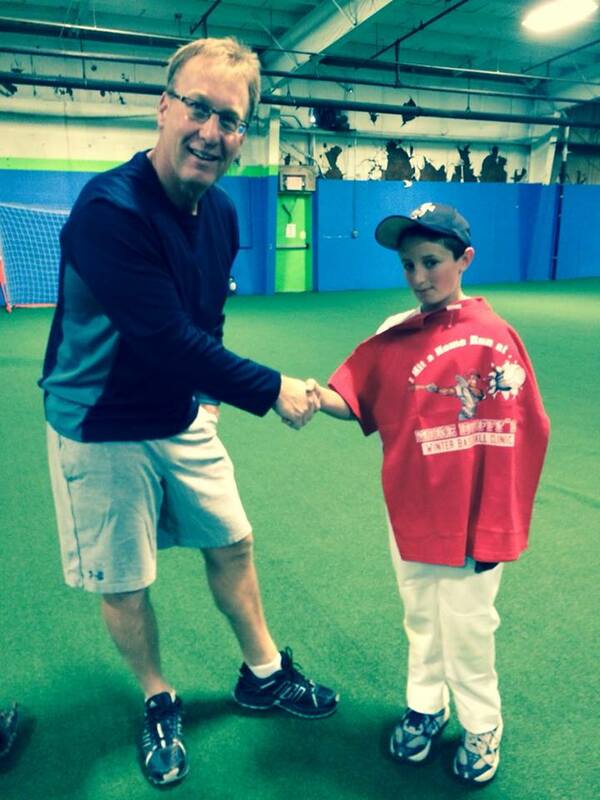 Our instructors are a mix of former college players and coaches, travel, all star and Little League coaches. We also use a few high school standouts in some of our drills to help out. Many of them have been with us for the full 8 years (former attendees). We will also be have a couple guest coaches such as Atlanta Braves Coach Joe Breedan who has joined us the past 7 years. Each 2 hour clinic is extremely organized and the attendees are kept moving and working. This is not a 2 hour babysitting service, it is an aggressive program geared towards players who are serious about becoming the best players they can be. 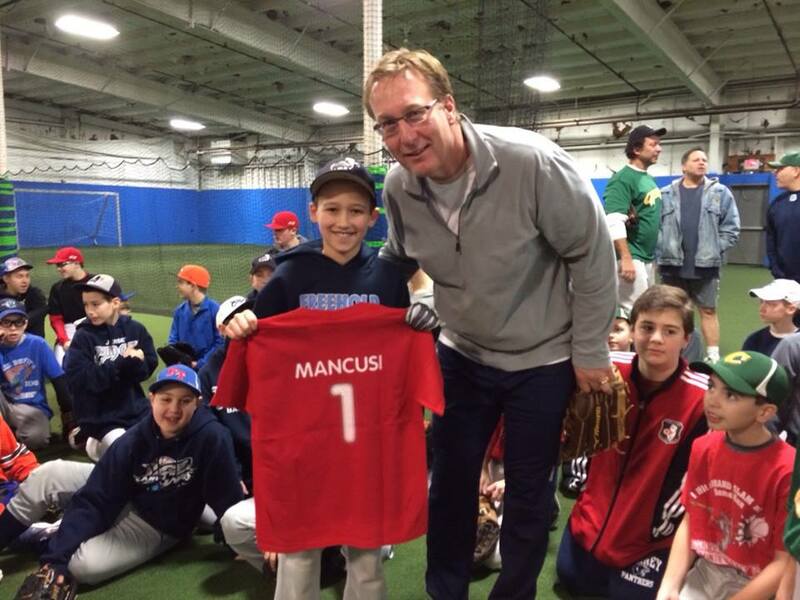 It is structured towards players who want to improve their skills and are committed to the game of baseball. We ask our players to get to the clinic 15 minutes early to warm up their arms with a warm up system we have been using for 8 years. Next we perform a group speed and agility warm up before we break into 6 different age groups. 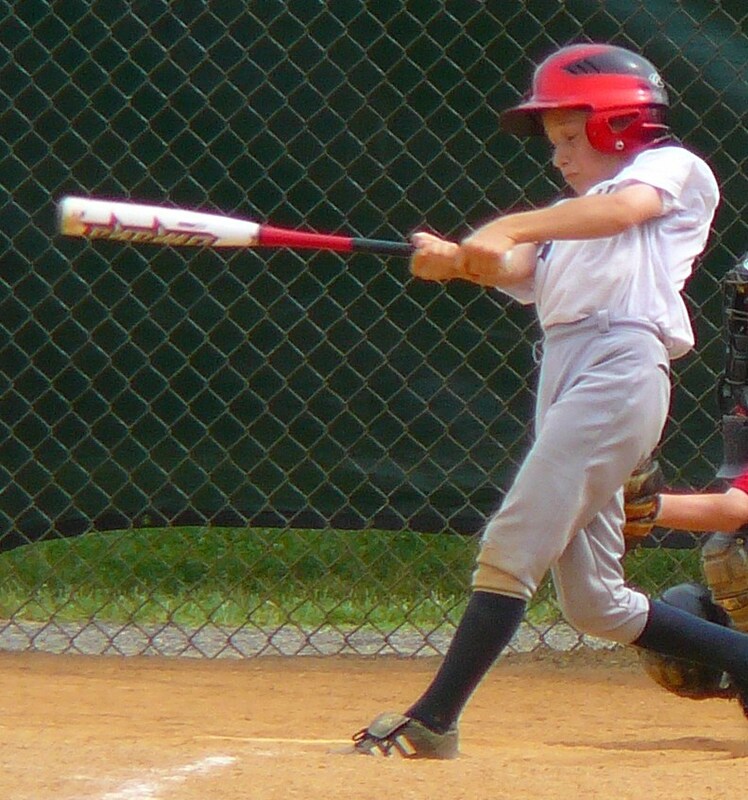 Each age group is taken through 6 different mini training sessions where they work on 1) T-Drills brought to the clinic by Atlanta Braves Coach Joe Breeden 2) Batting Cage hitting drills (soft toss to live pitching) 3) Infield Drills 4) Outfield Drills 5) Pitching & Catchers Drills 6) Speed, Strength and Power Conditioning Drills. 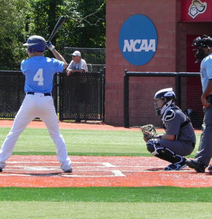 We incorporate Game Situation Drills such as bunt coverage, base running, run downs, etc.,throughout the 13 weeks. 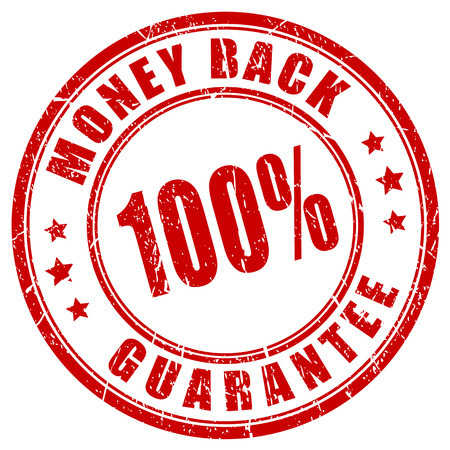 The bottom line is that we get a lot of work done each week and we can guarantee that your children will come home sweaty, better ball players and with a big smile on their face. They will take hundreds if not thousands of swings, throws and catches over the Winter months. I am a firm believer that repetition is king and the amount of repetitions they will be getting over the 13 weeks will have them shining in the Spring. Our attendees will be well prepared for spring school tryouts, spring travel tryouts, Little League and any other type of baseball come Spring time. 2013-14 FLAMETHROWERS- throwing from 46-72mph! *Note: Once you click "Buy This" and make payment we will forward a Registration Waiver Form & Instructions within 24 Hours. You must fill this out and get it to us before your son is able to participate. You can email, fax or bring it to the clinic. Thank you. 2014-15 FLAMETHROWERS- throwing from 39-74 mph! "Your team does an excellent job across the board. Colin has always been a better than average player but hit new heights this past season. His coaches and several parents told me they thought he was the most improved player. He has been playing up a level (12 on a Level 4 13u USABL this past season) for a team that was previously undefeated champs (not this past season). I believe his move into the heart of the lineup 5 or 6 of 12 was primarily a direct result of your clinic. Great Work. I hope more of our team will join future clinics."